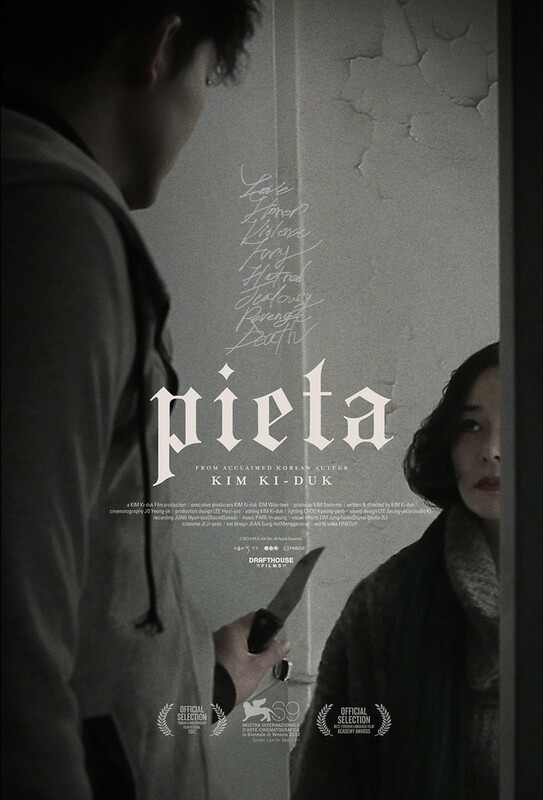 Pieta DVD and Blu-ray release date was set for July 23, 2013. A loan shark goes through life not caring about what his actions do to other people. When a strange woman appears in his life and claims to be his long lost mother, he at first dismisses the claim. As his skepticism wanes, he decides that maybe he should get out of the criminal underworld and finds an honest job. He soon discovers that shedding the past may be more difficult than he thought, especially when he finds out about a dark secret from his past.